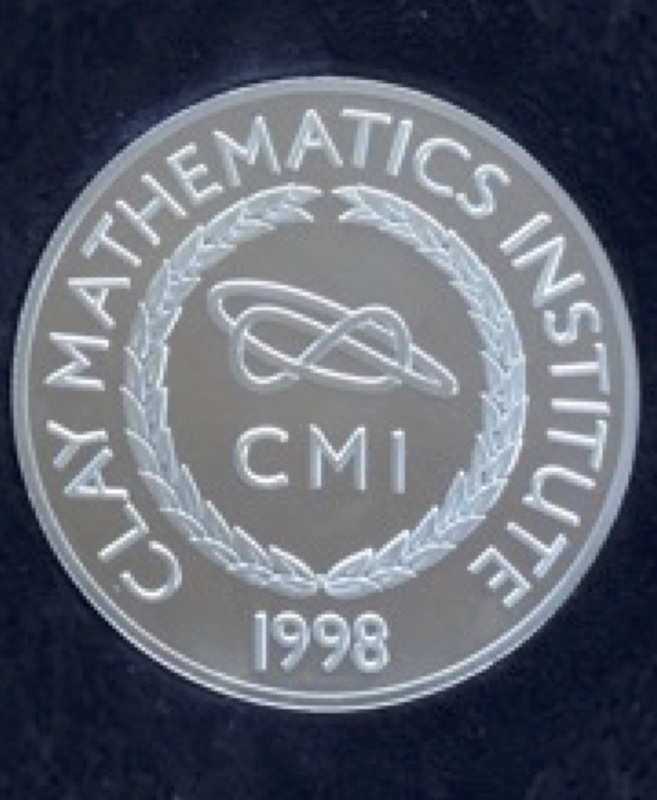 The winners of the Clay Research Award and the Clay Award for the Dissemination of Mathematical Knowledge are presented with a silver medal in a blue and orange presentation case. In both cases, the obverse shows the CMI figure-of-eight knot. The reverse shows the details of the award and the signature of the awardee. The Medal is 3.5 inches in diameter, and is made of solid silver. It is made by Thomas Fattorini Ltd, Birmingham.